Speeding endangers everyone, not just the person driving the car. It endangers other drivers on the road and the passengers that are with them. In 2016, speeding accounted for some 27 percent of all traffic fatalities and killed 10,111 people according to the National Highway Traffic Safety Administration. While modern life can really take a toll on us and make us juggle a busy schedule, speed limits are put in place to protect us and breaking those limits only puts you and others at risk. 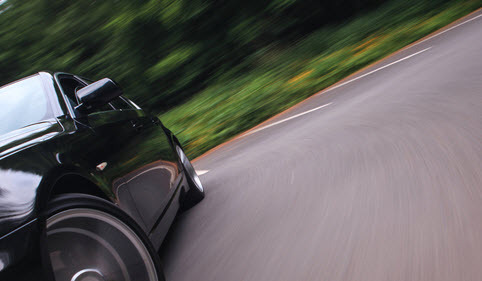 For over two decades, speeding has been a contributing factor in nearly one-third of all motor vehicle fatalities. In Florida alone, 310 people died as a result of speeding-related accidents in 2016. But speeding isn’t just going over the posted speed limit. It is also going faster than what is safe for the current road conditions such as when there is bad weather, in a poorly lit area, or when a road is under construction. Speeding endangers everyone on the road, not just the person doing the speeding. It can endanger drivers, passengers, workers, and law enforcement, and sometimes even those nearby on sidewalks and other public areas. When someone is speeding they are breaking the law, but they are also at greater risk of losing control of their vehicle. They are less likely to be able to stop in the event of danger, and speeding reduces the effectiveness of protective equipment inside the car. Traffic – When a driver becomes aggressive they may exhibit dangerous behaviors such as changing lanes frequently and speeding. Running Late – When a person is running late for school, work, a meeting, game, or other type of appointment they may become aggressive and go over the posted speed limit in an effort to get to their destination on time. Anonymity – When a driver is shielded from the outside world while inside their vehicle, it is easy to develop a sense of detachment. This can result in people being less restrained in their behavior, especially if they believe that the people witnessing their unlawful and aggressive driving will never see them again. Some motorists never break the speed limit or drive aggressively, but for others it is a common and frequent issue. Occasional outbreaks of aggressive driving and speeding can still cause significant issues and even death, making it important to act out on the road as infrequently as possible. Stay in the right lane as much as possible unless you are passing someone. Give people who are speeding plenty of space. They are more likely to lose control of their vehicle and maintaining a safe distance is important for your safety. Adjust your own driving accordingly. If a driver is following you too closely while speeding, use your judgement and safely steer your vehicle away from them. Don’t be afraid to call the police if you feel like a driver is harassing you and putting you in danger. If you or your loved one has been injured due to the negligence of a speeding driver, you could be entitled to damages. The attorneys at Leifer Law Firm can review your case and determine what options may be available to you. Your injuries could entitle you to receive compensation, but such cases must be filed in a timely manner making it imperative to contact an attorney as soon as possible. Contact the Leifer Law Firm today to schedule a consultation at one of our conveniently located Florida offices.